I was given the song "They're Red Hot" by Hugh Laurie. I used the word "long" as part of my title. Congrats to your husband for completing the race. and once again I love the collage of photos you always do!! Great page. 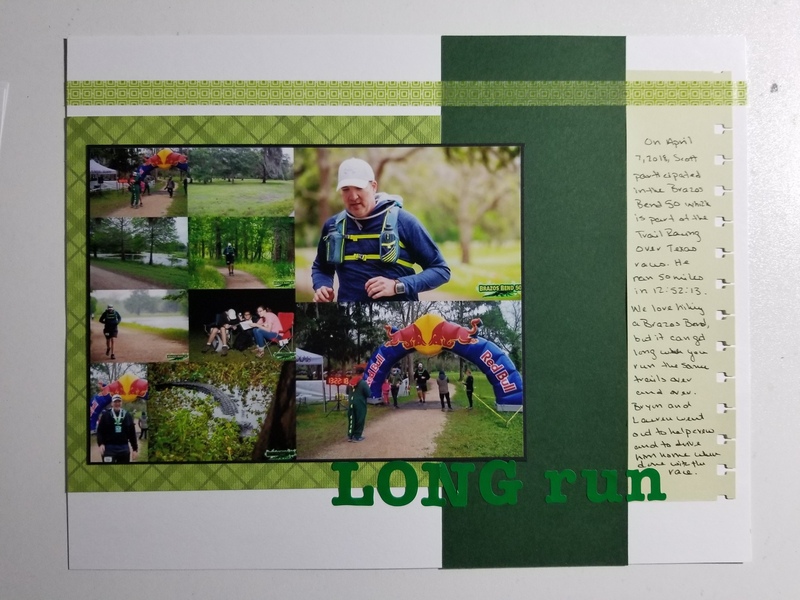 Love the journaling with the punched side and great group of photos. Love the punched side and the journaling. Great page, the journaling tells the story very nicely, but the photo collage brings it to life! I like the punched side and your grouping of photos. Wow, that is a lot of running! Love the shades of green and the notebook paper for the journalling! Awesome photo collage. Great title!